Diarrhea can strike adults, children and even babies at nearly anytime. It is the body’s way of telling us something is wrong. It can happen with food poisoning, if you are allergic or sensitive to a food, or from an illness like the flu. If a baby gets diarrhea, parents need to be very careful because the infant already has a delicate and weak immune system. If it isn’t severe enough to go to the doctor, you may be searching for home remedies for diarrhea to provide relief. If the diarrhea doesn’t go away or gets worse, or your child gets a fever, you need to see the pediatrician right away. Infants can get dangerously dehydrated fast. Breastfeeding is one of the best things you can do at home for your infant’s diarrhea. Moms who already breastfeed should not stop when their child has diarrhea, as it can aid recovery. Breastfeeding may help prevent hospitalization from dehydration from diarrhea. Those infants eating a combination of formula and breast milk should get more breast milk during illness and less formula where possible. Formula is harder on the tummy and can exacerbate diarrhea. Not all juice is created equal when it comes to diarrhea. In fact, pear, prune and apple juice can make it worse. White grape juice, however, is one of the common home remedies for diarrhea in babies. Some doctors have thought it to be from natural electrolytes found in the juice that help to replace minerals, vitamins and fluids without causing more diarrhea. Another school of thought from pediatricians is that probiotics can help get the gut bacteria stabilized, and therefore is another option with home remedies for diarrhea. Probiotics have been shown to reduce how long a person has diarrhea and make it a milder illness. Adults may already have these natural, healthy, digestion-improving bacteria in their medicine cabinet. Doctors recommend using probiotics with lactobacillus acidophilus. When in pill form, you can break it up and use the powder in food or formula for infants still on the bottle or breast milk. One of the most common home remedies for diarrhea in babies is a diet of bland food. Pediatricians recommend that those old enough to eat should be given boiled potatoes, rice cereal, bananas or applesauce when they suffer from diarrhea. These foods can lower the severity of diarrhea. Foods with high fiber or sugar content, such as peas should be avoided, as it can worsen diarrhea. Diarrhea is rarely serious when properly treated, but if your baby becomes dehydrated, they can end up in the hospital quickly. Your primary concern should be getting enough liquids into your child. If they aren’t vomiting, provide breast milk or formula. If your child can’t keep it down, call your pediatrician, who may suggest an electrolyte solution. You can find these at the drugstore in a variety of flavors that most babies will enjoy if dehydrated. They are usually easier to keep down than formula or breast milk, as well. Talk to your pediatrician about the formula you are using. In some cases, this may be the reason your child has diarrhea and a simple switch will be the solution. Your infant’s tummy may need to find a formula that works for it. It’s not unusual for parents to try a few formulas before they land on the right one for their baby. Many babies do well on dairy-based formula while others need something lactose-free or soy-based. Generally, infants who are sensitive to their formula will be fussy and gassy. For those infants with an undeveloped or weak digestive tract or a milk allergy, there are sensitive tummy formulas. These include proteins that are broken-down and simple formulas. Talk to your pediatrician for suggestions, there are some that need a prescription. It’s also a good idea to speak with your doctor before switching formulas. When your baby is continuously soiling their diapers the acid from the diarrhea can irritate their skin and cause diaper rash. 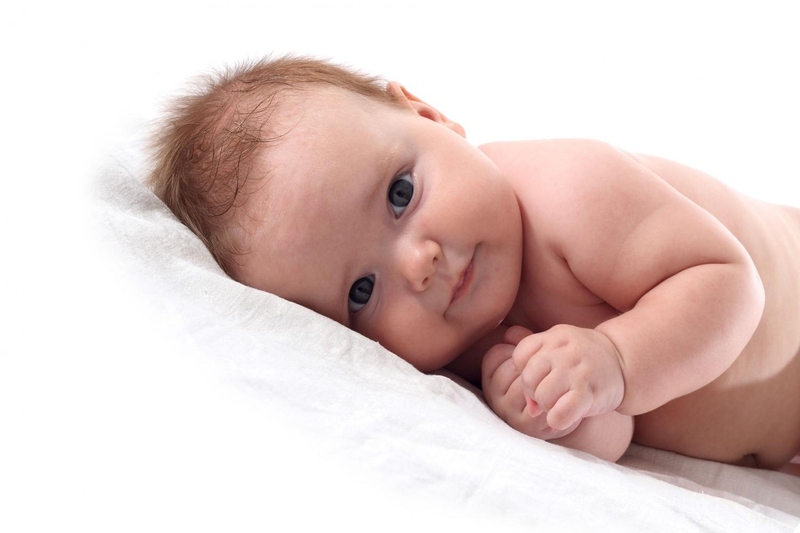 Pediatricians recommend frequent diaper changes, and warm water with a soft washcloth instead of wipes can help. You should also try air-drying or patting dry the bottom, rather than ‘wiping.’ Use a thick coat of diaper cream, or something with zinc oxide or jelly after each change. If the rash doesn’t improve or continues to get worse after a few days, you should speak to your pediatrician. There may be a yeast infection which will require a specific cream. Eliminate dairy but try buttermilk in the diet. Provide a bit of dried ginger powder mixed in honey to curb diarrhea in babies that are able to have honey. Try equal parts sugar and dried aniseed on your child’s tongue hourly. Offer pomegranate juice regularly. This will provide hydration. Boil a cut apple in water until tender. Add a pinch of nutmeg and teaspoon of sugar. Feed this to your baby. Chop a papaya and add 3 cups of water. Boil for ten minutes then strain. Give a couple teaspoons of this solution several times a day. Avoid apricots, plums and peaches. Yogurt may help because of the probiotics and because it is the only dairy that can bind and aid digestion. Black stool or blood in the stool. Dry mouth, not having regular wet diapers, crying without tears and other signs of dehydration. Fever over 101 F at 3-6 months old, 103 F when 6 months and older. If your baby is under three months with a temp over 100.4, call your doctor immediately as they need to be seen. How Can I Keep My Baby from Getting Infectious Diarrhea? Practice good hygiene by washing your hands frequently. Microorganisms spread from mouth to hand, and these are behind infectious diarrhea. Handling a dirty diaper and then touching your child’s mouth can spread this. Your baby can also get it from putting his hands and fingers in his mouth after touching contaminated toys or clothes. Use warm, soapy water and scrub for fifteen seconds or more, after using the bathroom or touching dirty diapers. Always wash your hands before preparing food. Wash your baby’s hands frequently as well.